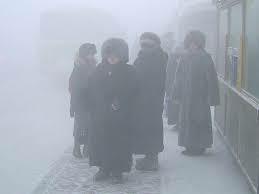 Having actually lived in Siberia, I can attest to just how cold -25 F degrees feels! It was in the winter of 1992, when newly posted by the Peace Corps to the city of Khabarovsk, Russia in the Russian Far East, things were positively balmly when they hit zero degrees. At the time, the buses were unheated, so there was usually a good six inches of ice caked on the windows–and really in that no-joke sort of cold, fur gloves, hat, boots and scarf were absolutes even for this vegetarian! 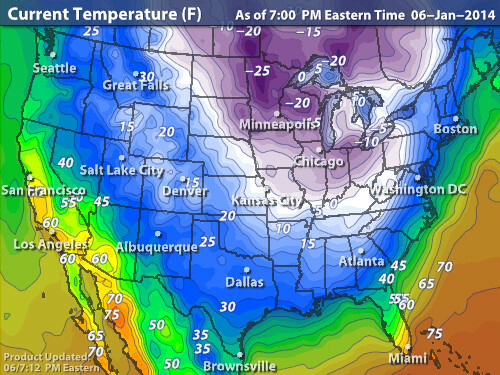 Still human civilizations have managed to survive the cold for millennia and I’m certain, we shall come through tonight’s “polar vortex” mostly in tact. What it should put in mind is that we are a part of a natural process that includes weather systems great and small that can wreck havoc or assuage us at any given time. Ice Station Zebra (1968). Starring Rock Hudson, Patrick McGoohan, Jim Brown and Ernest Borgnine, directed by John Sturges! The Bedford Incident (1965). Starring Richard Widmark, Sydney Poitier, Eric Portman, Wally Cox, Martin Balsam and James McArthur, directed by James B. Harris. The Hunt for Red October (1990). Starring Sean Connelly, Alec Baldwin, Scott Glenn and Sam Neill, directed by John McTeirnan.